It was another night to forget for the Knights, who suffered their second consecutive defeat. When contacted by this site, Mdina’s coach, Kyle Sultana, showed his disappointment with the performance of his players in the first half. Sirens had a double advantage through a two quick passing activities with Leonard Zammit and Sam Vella putting the ball at the back of the net. 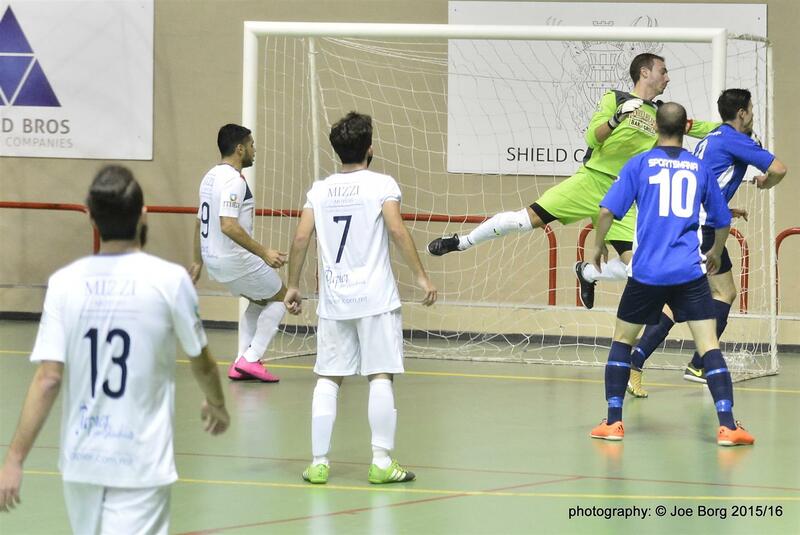 Mdina pulled one back, when from Debono’s corner, Cleaven Portelli smashed it into the net. Just before the half time whistle, from a rebound Antoine Galea made it 3-1 for Sirens. Mdina had a brighter second half as they managed to level the matters through Leo Muscat, and goalkeeper Matthew Gatt, who played as a flying keeper for the last 15 minutes. Khail Drago restored the advantage for Sirens and put Mdina in trouble. In fact Mdina’s Rodney Debono was sent off after protesting persistently with the referee for a presumed handball by Drago. Debono was followed by Sultana, who was also sent off for protesting. Sirens’ super sub goalkeeper Roderick Mascena caught Matthew Gatt out of his position and scored in the last three seconds of play. Mascena was also sent off for excessive celebrations and taking off his shirt in court. The end result of 5-3 gave Sirens their second consecutive win and also helped them in reaching Mdina Knights in the league’s table.